A Web Design should account for both efficiency and aesthetics. 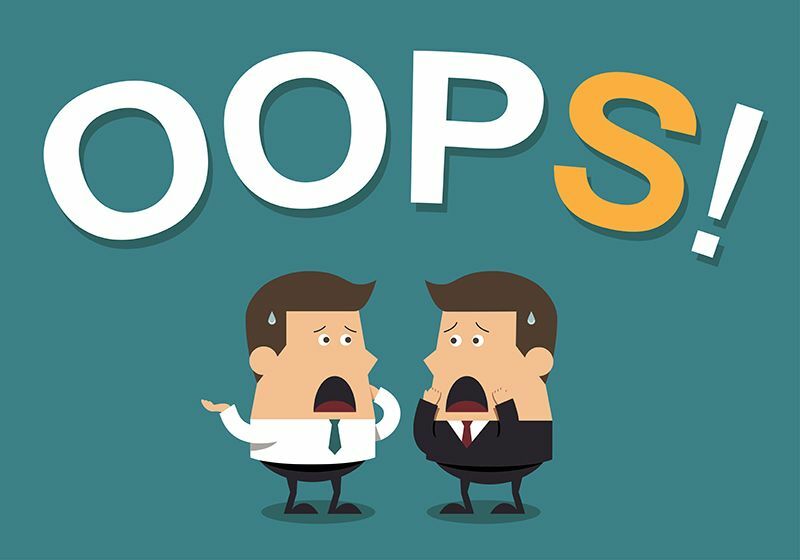 Business owners are prone to making common mistakes that hamper the appeal of a website. By avoiding these mistakes during a session with a London Web Design agency, one ensures website efficiency. Web Design’s primary purpose if to combine form and function in a way that makes a website enjoyable, interesting, navigable and usable. A compelling and efficacious website isn’t an option for businesses. Investment in quality web design reciprocates by boosting sales and increasing conversion. Now, hiring an agency is just the 1st step; there are other multitudes of factors one needs to consider when discussing their website’s features with companies in London Web Design. To attain all of the above goals, there are certain parameters that a website must meet. Even after hiring an expert agency, chances that the website will not turn out as useful as envisioned remains. It’s because, many new businesses make mistakes with design choices, that are easily avoidable. So, let’s look at some of the mistakes to avoid while designing a new website. A home page with a large number of images, texts, and an overwhelming amount of details will deter a visitor right away. One needs to avoid busy designs at all costs. A confusing site is one that features a variety of typefaces, colour pallets, images, themes that don’t relate to each other in any way. Trying to convey too many ideas at once lead to this issue. Tips to Avoid OverCrowding – Don’t view the site as an individual component; rather think of it holistically. When designing a website, try to stick to a single theme and one typeface. This facilitates a clean as well as Cheap Web Design. A call to action written in a complicated language will surely discourage a visitor to convert. CTA should be concise and tell the visitors what they need to do. There should be enough information telling the visitor about the reward of taking action, as per the CTA suggestion. Moreover, one needs to ensure they don’t cross the fine line between helpfulness and overt marketing. Tip – Avoid wrong placement of CTA. These phrases must be placed with the correct images and should link to the correct window. 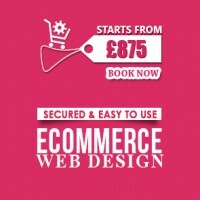 Experts in London Web Design agencies understand this and will help you with it. The online audience highly prefers instant gratification; therefore, they are likely to abandon a page when it takes too much time to load. 47% of people expect a load time less than 2 seconds. Moreover, in the case of mobile browsing, the number jumps up to 53%. The optimal loading time – Avoid a website design with a loading time of more than 3 seconds. One must not overlook the benefits of creating a home page opt-in window. Such features, increases the likely hood of a customer returning and taking further interest in your products and services. Additionally, not investing in proper integration of analytics tools is a major mistake. The only way to assess a website’s performance is by analysing the data about visitor behaviour in it. Agencies that offer Cheap Web Design will be able to perform simple integration of tools like Google analytics on a website. With this knowledge of common mistakes to avoid, it’s easier to leverage the full potential of an agency in London Web Design. So, be mindful and create an amazing website for your business today. Making a website attractive and easy to scroll is essential to increase the audience. There are numerous Cheap Web Design tips that businesses can implement to do so. Some of these include using visual cues, long pages, etc. With the total number of websites almost touching 2 billion, the burden is now on web design companies to deliver a unique and appealing product to clients. The rising number of such companies has also created significant competition. Businesses also look for a website that stands out from their competitors. As per The Effect of Aesthetics on Web Credibility, first impressions are 94% times related to design. 88% of visitors are less likely to return to a site after a substandard experience according to The Gomez Report. Firms don’t have to sweat as there are aplenty Cheap Web Design tricks that can attract the audience without lowering bounce rate. Putting large-scale images of people in home pages is one of the ideal ways of increasing visitors through web design. Basecamp found that doing so escalates the conversion rates of businesses by more than 102%. Competitors are using them too. Too many stock images create suspicion among visitors. They don’t make the website look genuine. Individuals may have already seen the image before. Hence, companies must put only premium stock photos or use pictures of individuals they know personally. One essential Cheap Web Design tip is to not use dark colours suddenly on a page. Dark colours are generally added to a website at the bottom. Hence, visitors assume they have reached the end. Adding a sudden patch of dark colour in the middle will indicate the same. An individual stops scrolling after coming across the same even though there is more to the website. These are known as “false bottoms”, and companies must refrain to use these in their websites. The majority of web design companies craft websites with sliders, tabs, accordions, and carousels. The problem is that the majority of people ignore all of these. Hence, having a long page that includes all the information is the right way to go. Up to 76% visitors scan through a site without. So, having a long scrollable page can make them stay longer on the page. Applying effects like parallax scrolling to a one-page website can increase traffic even more. Web Design London companies have expertise in implementing such effects. Having a pop-up to ask individuals to subscribe or register only makes them skip the same. Visitors consider these exceptionally annoying. Using images of people or arrows that point to forms are more effective. These visual cues can guide individuals’ eye to a specific section of a page according to a study by CXL. Employing these simple and easy tips on a website can increase traffic along with conversion rates considerably. In this digital age, it is imperative for businesses to have their websites. Thus, to collaborate with the right Website design London agency, you must check whether it provides a support system, transparency, and client base research. One thing every businessperson knows for sure is internet has become THE most competitive market. More or less every business, irrespective of its size, has an online presence that helps them to communicate with potential customers. Thus, in turn, aids in sales increase and business growth. Therefore, it is essential for businesses to collaborate with an efficient website design London company. Such an endeavour can help in creating a site that will act as the first contact point between a company and its potential online customers. Not only is this, but having an operational website is also like a 24×7 store on the digital platform. So, what are the things to consider before hiring a website designing company? As per statistics, more than 4 billion of the world’s population are actively using the internet. Thus, selecting the right London website design company can help in building an effective site. As you already know, your business will witness a significant impact. So, go through these pointers before singling out on a website designing company. After the website is launched on the internet, on-going support for the site plays a crucial role. Thus, if those web designers come with the assurance of providing support systems post the launch, you don’t have to worry about its maintenance. Also, if there’s a glitch in the email, domain or content management, hosting, or website functioning, the organisation for website design London will look into those problems immediately. Designers often provide professional, cost-effective, and good quality web designs. But, the possibility of several hiccups due to the dearth of transparency remains. Miscommunication between the designer and its clients also tag along more errors. Thus, associating with design teams that are easy to talk or reach is always helpful for a business owner looking for help to develop his/her website. It will foster honesty as well as reduce the chances for mishaps. It is also recommendable to discuss project outline before beginning. This is a precautionary measure to avoid additional charges at the end. How well the London website design company researches the client base? It is essential for web design companies to research their client base thoroughly. That’s because website designs are not universal and do not have the same appeal to all age groups. Each population segment has particular preferences; thus, the designers need to identify your target audience before developing the site. The best way of doing this is conducting comprehensive research including analysis and survey of the company’s and its industry’s recent trends. Also, you have to hand over the details of your company for them to double-check their findings. Adhering to these rules will help companies associate with the right website designer. A professional web design and web development company must have a few standard services to help their clients sustain in the breakneck competition. So, while hiring a company, a customer must consider offerings like responsive web designs, CMS, etc. to leverage his/her business to the core. In this competitive business world, it is nothing new how imperative a web design company can be. To capitalize on prospector opportunity and captivate real-time customers, it is important to own an optimized, interactive and functional website. Unfortunately, many businesses lack proper website, and worse is some don’t even have one. Standing in such expanded global market, it’s high time to end this practice once and for all. However, choosing the right London web development company can be a daunting. There are gamuts of companies which promise huge and deliver less. So, before hiring one company, a person should consider these following services to understand their expertise and also reputation. It is like a blunder to underestimate the power of search engine optimization. To have an online presence of the business, a person must opt for a web development company that creates SEO enabled content. This can bring him more potential clients and can also retain a broader customer base. 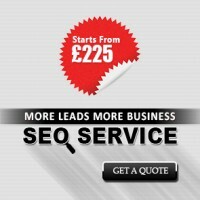 A professional company’s integral part will be their SEO services. If they don’t, a businessperson should look out for the next option. Several researches say that 78% of people nowadays prefer smart portable gadgets over laptops and PCs. Hence, a responsive design is more of a necessity than a fancy. Fitting the screen of all devices seamlessly, this exclusive design proffers more user-friendly experience. Prominent web design companies provide bespoke responsive sites embedded with superlative features. Many platforms can be used as a framework for a website. Hence, it is important to know beforehand which platform a web designing company is using. Moreover, they should address the importance of content management in a website. A good web designing company usually has enabled CMS to publish fresh content giving a long-term digital marketing momentum to a business. Fast and reliable hosting is mandatory as bounce rate tends to be more if there’s no powerful and lightning fast web hosting present. Good web design companies have the knowledge to make web hosting user-friendly and convenient. A website needs maintenance once it is live to keep up with the changing trends. An estimable London web design company stays committed to provide such services by offering their customers beneficial packages. For example, free website updates, website analysis, and website & DB back up to name a few. 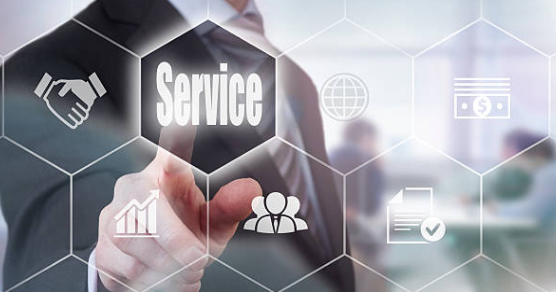 The above mentioned 5 services truly fall under a non-negotiable standard of a company. Hence, people in business residing in London or nearby areas must consider these major points before blowing away a poorly-built website. Are you Planning to establish a Business? 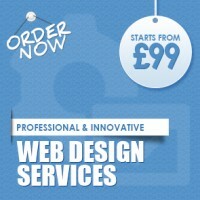 Do you need Cheap Web Design services? Among a thousand providers, you need to be wise while choosing the best, which can provide quality work at affordable rates. Designing a Website for your Business is an integral part if you want to enhance your presence in the market. Why so? Because everything is online today! For example: when you want to avail any service, what is the first thing you do? You look up the internet. Similarly, everyone does the same. Now, finding the Best Cheap Web Design service can place you in a pickle. So, here’re a few steps to help you out! 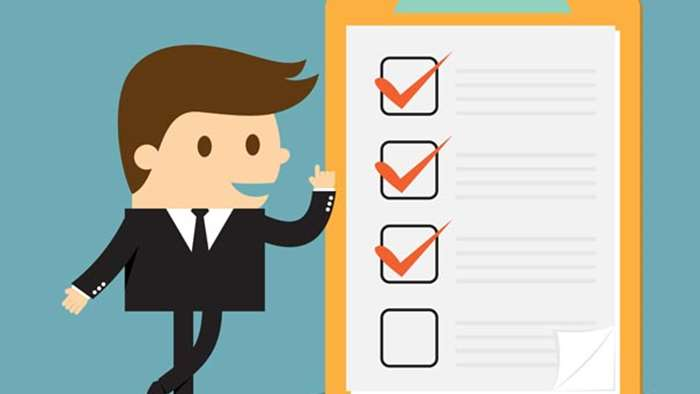 List your requirements and expectations of how you want your website to be. Accordingly, discuss your plans with the provider. Consider your tape of business and your target audience while deciding on the style of your website. All in all, it’s you who needs to decide what your necessities are. Check who they have worked with in the past. Get some samples to see how well their services are and whether they can meet your criteria. If you think they are reliable and their services are good enough, then, go for that provider. Do not compromise with anything as the website for your business is an essential aspect to take you ahead in the competition. Look for experts and professional web designers who know how to create an engaging website at affordable charges. Cheap Web Design does not necessarily mean that the quality would be disappointing. So, make sure their services are affordable and yet, you get what you have in mind. If you follow these steps, it is likely that you will end up with the best Web Design London services and your website will be a blast at the end of the day. Making the right choice can be worthy investment in your Business. 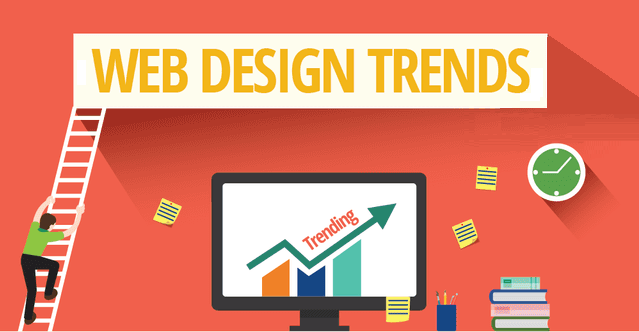 New Trends That Every Web Designers Integrating! Web designers London follow latest trends of 2018 while creating websites. 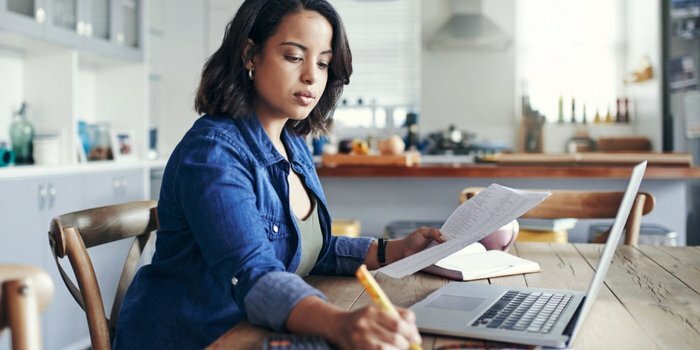 Businesses are incorporating these techniques in designing their website to enhance their customer’s experience and garner substantial prominence. If you’re planning to invest in a new site, make sure you know the latest trends first. Nowadays, maintaining a website is of prime importance for any kind of business starting from big corporate ones to start-ups. This has created the need to produce visually aesthetic and alluring websites that can make your visitors stay on your website for some time longer. To serve this purpose, it is essential to know the latest trend that web designers London are following in 2018. Though web designing is all about creativity and it cannot be restricted to a few formats, still here is a list of few aspects that top designers are trying to integrate into their website designing. A majority of internet users access the web from smartphones and mobile. To keep pace with the growing mobile users, web designers are designing websites that are compatible with various resolutions. This version has eliminated the problems like incomprehensibility faced by mobile users previously. As websites are evolving on a regular basis, cheap web designers london are finding ways to integrate new things into their websites. To engage audiences and communicate with them more effectively, they are incorporating animations in web designing that successfully amuse visitors and allure them to be customers. 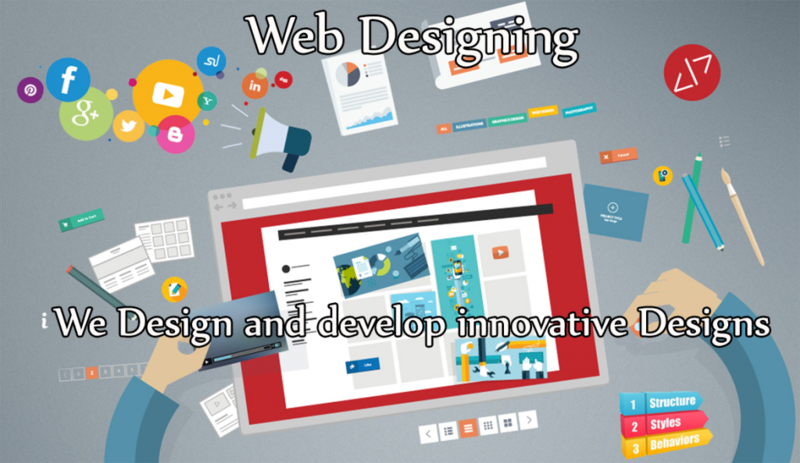 Bespoke designing of websites are given keeping in mind your unique business requirements. By getting a customized website, you get a chance to keep your business in a higher position than the others because of its exclusivity. Along with the high functionality, these websites include expressive branding through layout, colours and other features to give it an extraordinary dimension,instigating visitors to turn into potential customers. The increasing need to set a company stand-out from the rest has prompted web designers to experiment with various formats and unconventional layout like asymmetrical designs in the web designing. Businesses are trying out different ways to express themselves,and this method of affordable web design London has certainly clicked! Colours are a great way to grab a visitor’s attention. Nowadays, designers are integrating and merging bold shades to create fascinating websites to create a lasting impression in the minds of visitors. An attractive website also gives a chance for higher conversions. So, using vibrant and rich colour schemes can definitely prove to be a great approach for designing a website. Apart from these trends, 2018 has in store other latest and mind-boggling ideas of web design London that web designers are coming up with. Be updated and take the innovative approach which syncs with your business’ agenda. Develop your online business by learning 5 tips of inexpensive website design. Attractive web designs go a long way in developing your business online and increasing your profits. We, at Quick Innovations, provide you Cheap website design options, which are affordable yet most appealing. Your quest for a professional website design in London ends here. Check out the various options we give you at unbelievably low prices. E-commerce web design services: Directed at helping visitors to the check-out page easily and quickly, the options we make available for payment are uncomplicated and functional. 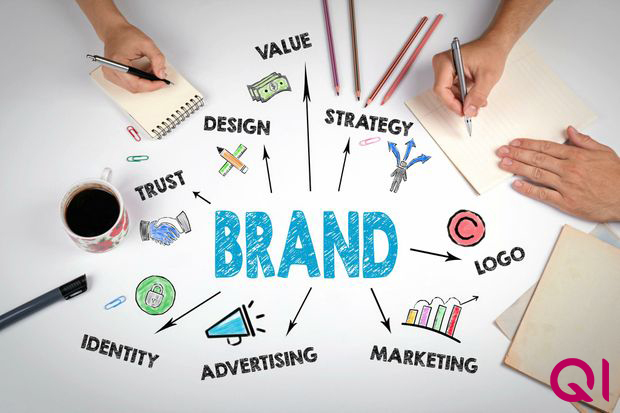 Logo and branding: Your logo is practically your identity. Combining Photoshop with other latest technologies, we deliver your company’s distinctive message through your logo. 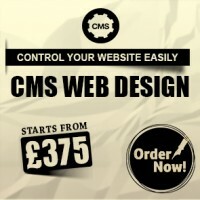 CMS designs: Content Management Systems (CMS) offer easy access to update the contents of the webpage. Besides allowing you to edit the existing content it also lets you update new contents anytime. Mobile Website Designs: The mobile website designs we create are congenial to all prominent mobile software and with any screen resolution. Hosting and Maintenance: We offer maintenance at extremely affordable prices, helping you keep your website updated and also back up all your unprocessed files. Make a selection of whatever suits your needs the best! For those whose priority is low cost, a simple website design is perfect. It offers web presence providing necessary information about details such as your services, products and contact information. In spite of lesser content, it creates as good an effect as a larger website. If you want an exclusive web form to suit your business requirements and want to top on search engines, then custom web designs fit you to the ‘T’. It also helps to impress and makes you seem more reliable than a basic website. Use our custom web development service to develop your fundamental website and stand out as a brand online. We understand the target customers you are addressing and so, can style the basics to suit them. In this way, we can help your company reach the top slots in the search engine. We create and develop powerfully, yet custom-built web-based applications and mobile applications to serve your business and improve your customers’ experience. Being well-experienced professionals in the field of website designing, we understand each of your needs and provide the best services at the most affordable prices. Quick Innovations is a professional Website Design London that brings Cheap Website Design and E-commerce solutions in London within your budget. Reach out to us to help you promote your ventures and reach out to prospective patrons. Feel free to contact us through any of the options provided on our website and rest assured we will get back to you at the earliest. Quick Innovations offers incomparable responsive website design London services to the businesses that hope to have an online presence that caters the mobile users without maintaining a separate website for mobile users. A responsive cheap website design makes certain that you do not have to handle a mobile site and the web page that fits the target screen size and resolution. As a great domain experienced website design agency and backed by the skilled and expert team of developers, we are competent to integrate all your needs in the design with ease. Amidst a plethora of web designing partners, opting for the best one is an effortful task. Hence, a marketer must consider a few factors while looking for a good Website design company London. Creating a website according to one’s niche is an uphill battle because; it’s the ultimate face of a business’s online presence. However, choosing the right Website design company London amongst the lots is even a monumental task. Every lane in London has web design companies; some are here to stay whereas the rest are fly-by-night nature. So, before falling prey to nay gimmick, a marketer must do proper background research. Portfolio of a website design agency speaks volume about their deeds and doings. Ask for samples of their past works or take a tour to check out the websites they have designed. Moreover, it is advisable to go for a company which has experience in more than one industry. Thus, after proper analysis and introspection, one can shoot for the best one by his needs. To keep up with the modern design trends, an agency must be familiar with responsive sites. The majority number of people access the internet through their mobiles, so having the ability to create device-friendly websites is a quality factor. Note: Any reputable website design company London always offers test driving sites for a marketer to learn about resizing options for various devices. After proper evaluation through comparing and contrasting, go for the company with affordable price. Always keep space for negotiation. However, not to mention, the price should not be the ultimate criteria to finalize an option. As a lot, many companies tend to make pseudo promises with handsome discounts. So, keep an eye over these fake ones too. Finding a good website development company takes effort, time and money. So make the best choice by following the tips mentioned above to experience a positive impact on business. Responsive web design is the need of the hour. New mobile phones and tablets are being launched each passing fortnight, thereby escalating the number of mobile users who browse, shop, search and play online. Hence, it becomes absolutely important to tap these users at any cost. For achieving it, the websites must be compatible with the mobile screens of all sizes so that each and every mobile user who is using any of the online services on the mobile phones. Making the websites responsive, so that they can adapt to any screen and resolution size is a daunting task and require a lot of expertise and skills. If the designers, however, follow some of the thumb rules of mobile website designing, things will become comparatively easier for them.